Yes, I have been published!! I sent the editor, Jo Leichte, a copy of the tutorial featured in my Bird Applique Quilt article … and now it is published in the latest issue of Bernina’s on line magazine Through the Needle! The article provides all the instructions for programming your embroidery machine to sew around each little applique piece when using raw edge applique for a project. 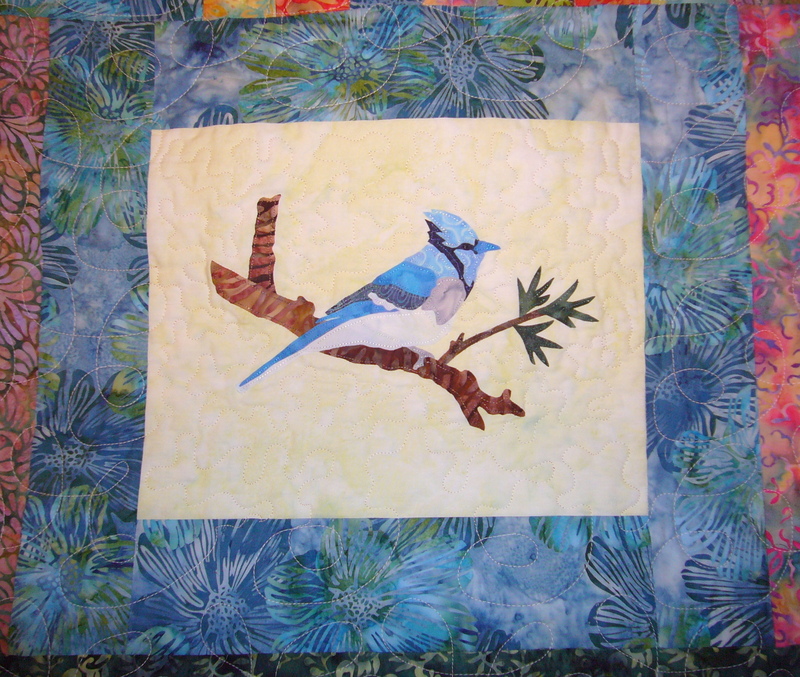 The article features my Gold Finch applique pattern which is in my Bird Applique Quilt, along with my Blue Jay. I also made a pillow with my Mr. and Mrs. Cardinal pattern. Please visit my Craftsy Shop if you would like to buy these patterns … and finish the applique any way you want! My method, your method … but do try applique … it is like paint by numbers combined with a jig saw puzzle and does anyone else remember colorforms??? But wait, please read on! … I must give this fabulous applique designer credit …. 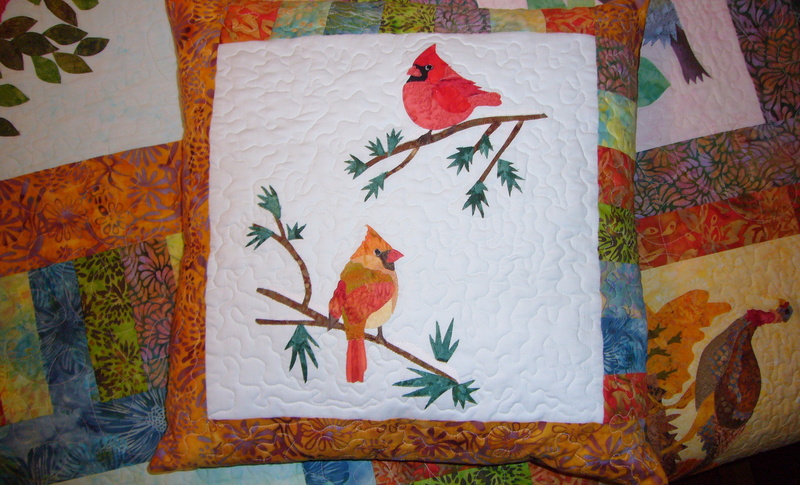 the majority of the patterns in the Bird Applique Quilt were designed by Peggy Anne Klinker. These were made available for her 2011 Block of the Month quilt. 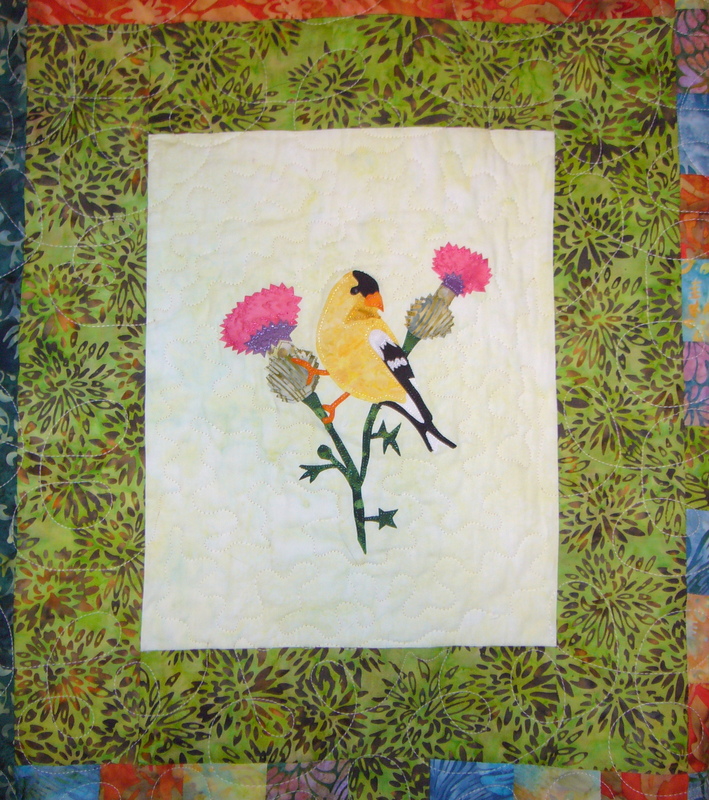 You can still get some kits for a few of the birds in that quilt, as well as some from her 2012 BOM quilt. And now Peggy Anne has a new BOM featuring Hens and Chicks … very cute, so do check it out. Sign up! This entry was posted in Applique, Embroidery, Patterns and tagged applique, bernina, blue jay, cardinal, Embroidery, gold finch, pattern, quilt, quilting, raw edge, sewing, software, through the needle on May 1, 2013 by pmegio.